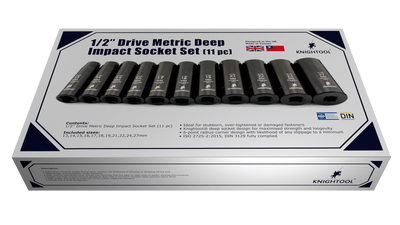 From a motorbike to a space shuttle, our impact sockets can take the strain. 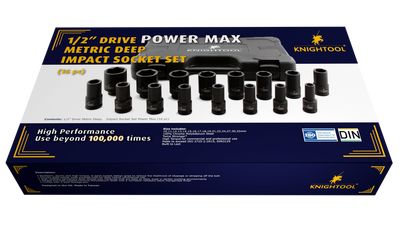 With quality and durability built in, our elegant sockets are made from SAE designated, high-grade alloy steel and heat-treated for enhanced strength and impact resistance; they feature wall thicknesses optimised for endurance; and they are plated and black oxidized for increased protection from rusting. In addition, the locking pin prevents the socket parting from the end of the impact wrench drive square, due to operational vibration. All sockets are laser-marked with their size for quick recognition. ​We are happy to supply to your unique requirements – please contact us for details.